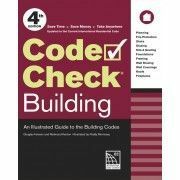 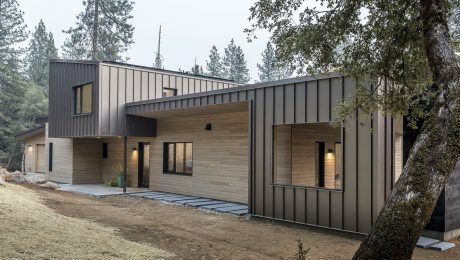 Earlier this year, I had the pleasure of speaking with architect and author Rick Pratt. 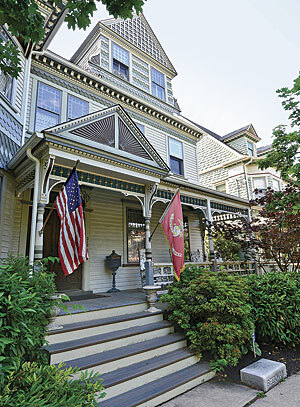 As the chair and secretary of New Jersey’s Hightstown–East Windsor Historical Society, Pratt contacted me for permission to feature a “Finishing Touch” piece from Fine Homebuilding in the society’s newsletter. 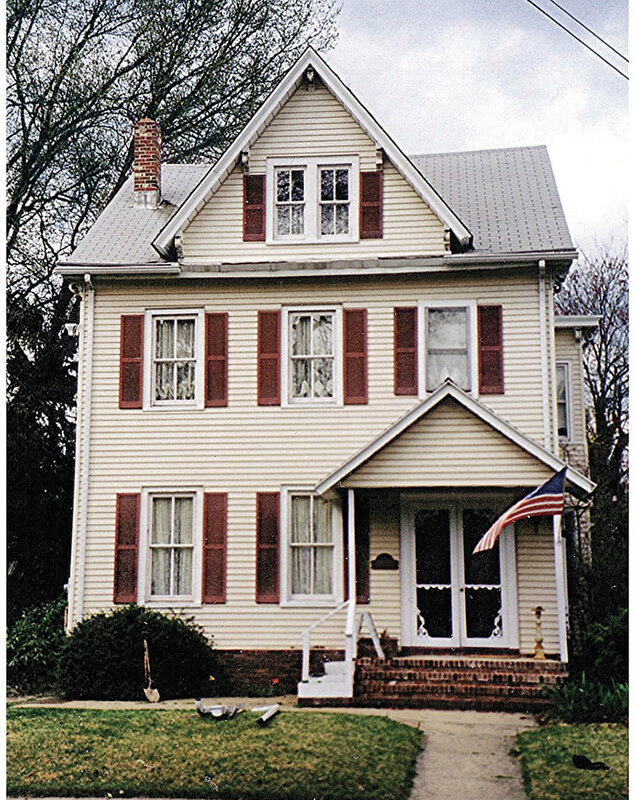 Since many of the historic homes in his community had newly restored porches or porches that needed to be restored, Pratt selected “Porch from the past” (FHB #238) to include in his May newsletter. 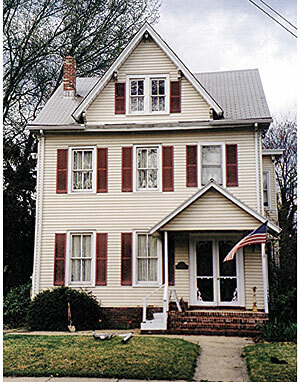 Pratt later shared with me photos from his own porch restoration. 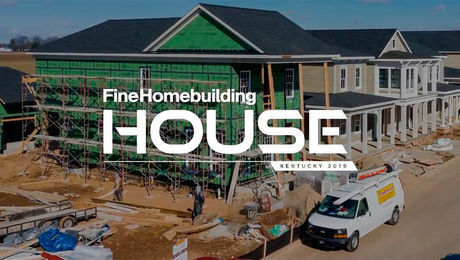 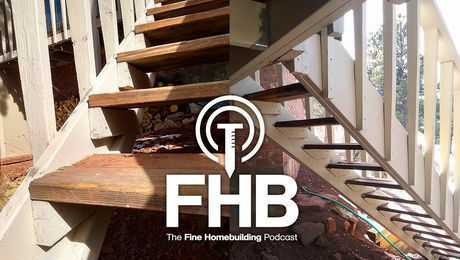 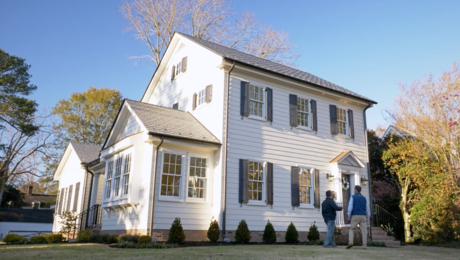 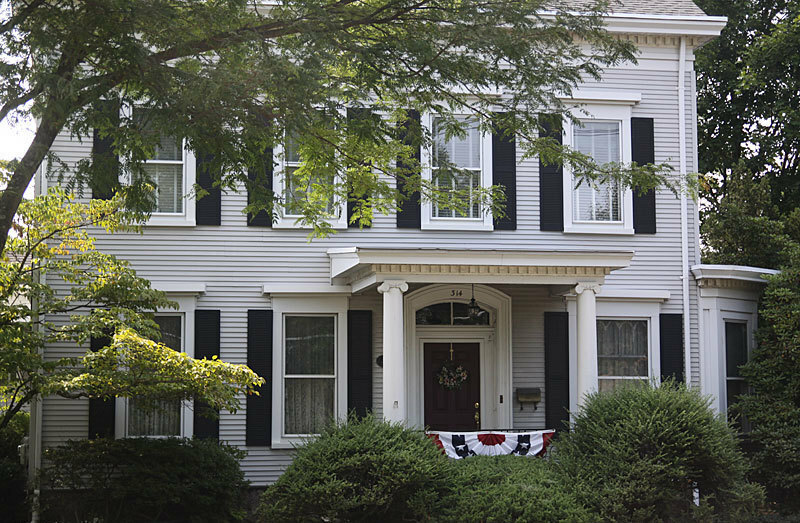 Knowing that building and restoring porches are favorite topics of Fine Homebuilding’s readers, I asked Pratt to invite members of his community to submit photos of their historic homes. 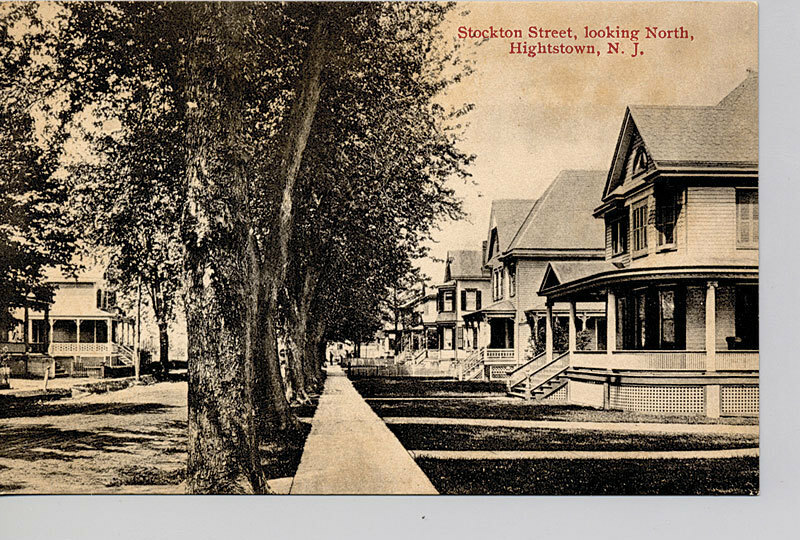 Here are a few of their porches, along with a photo of what Hightstown looked like in the early 1900s. Hightstown is located in central New Jersey and is roughly equidistant from Philadelphia and New York City. 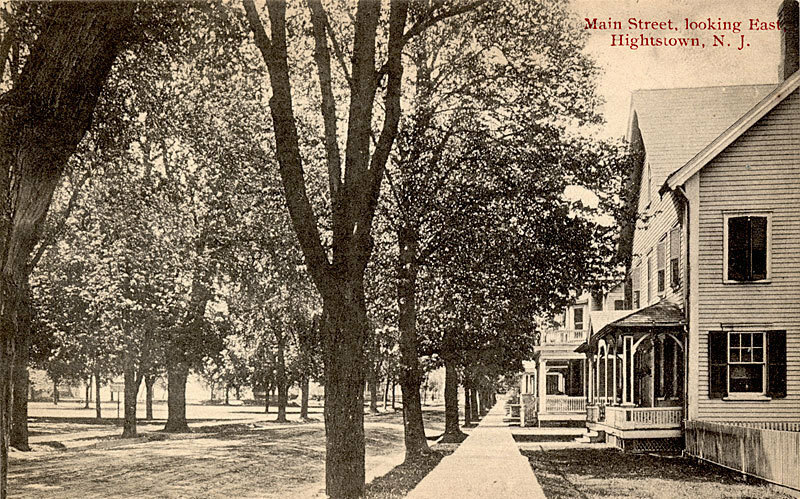 The town traces its beginnings to 1747, when John Hight bought an 80-acre parcel alongside Rocky Brook. 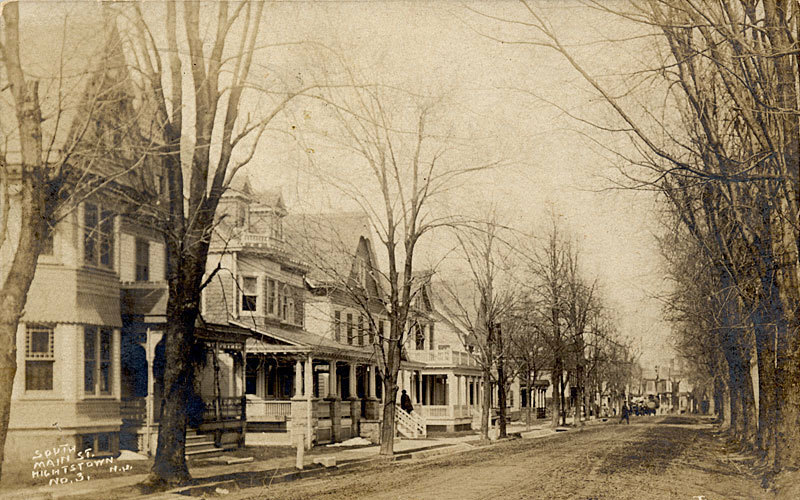 There he built a gristmill on what would become Main Street. 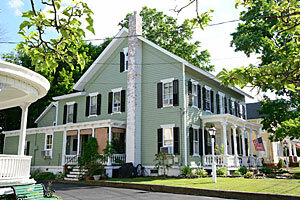 The mill attracted other small businesses, and with the rise of train travel, the town became a transportation hub. 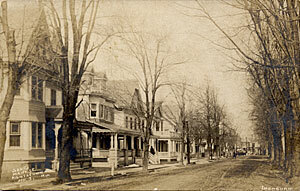 Farms and homes spread across what is now the borough of Hightstown and East Windsor Township. 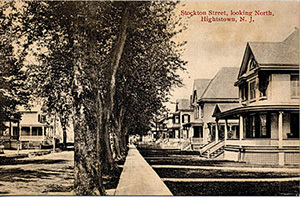 The advent of the automobile, the retirement of the rail line, and the construction of the New Jersey Turnpike challenged Hightstown’s role as a destination. 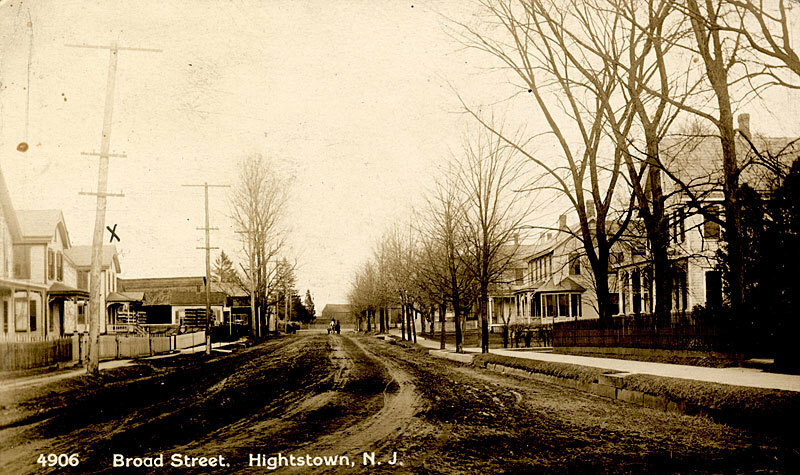 With the establishment of the historic district and the downtown association, however, Hightstown is enjoying a rebirth as a treasure of America’s past and present. 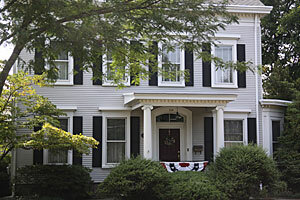 In the summer of 2015, it was designated a Preserve America Community by the federal government. 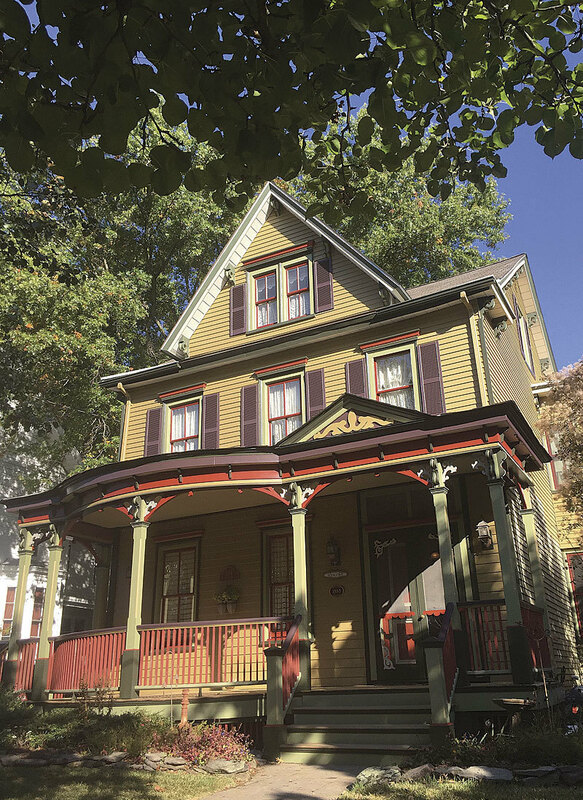 Hightstown will be featured in “Discover Our Shared Heritage” National Register Travel Itineraries as well as in the “Teaching With Historic Places” curricular materials created by the National Park Service. BEFORE a proper porch. 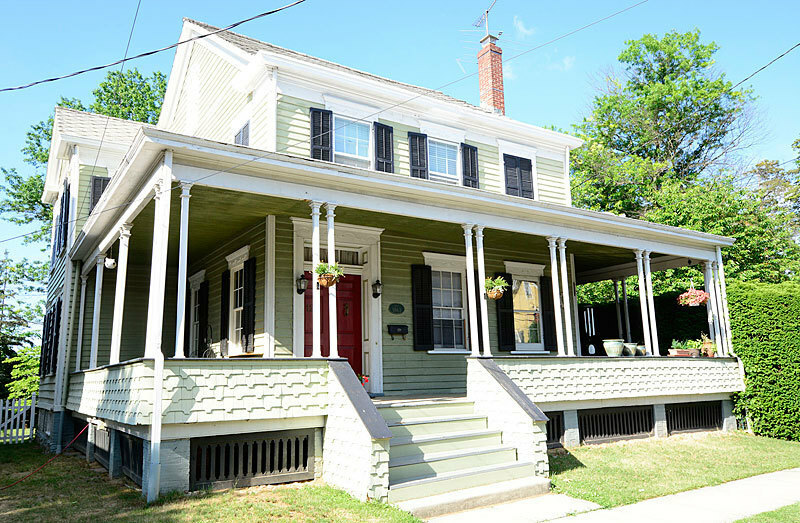 When Rick Pratt and Amanda Porter bought their house, it was the only one on Stockton Street without a full front porch. 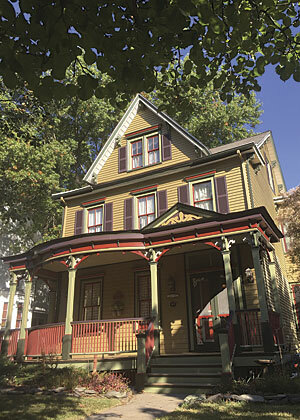 and built this curved porch for their Stockton Street home. 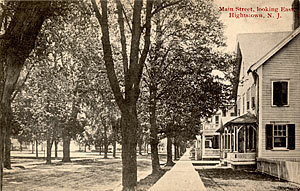 The street where it all started. 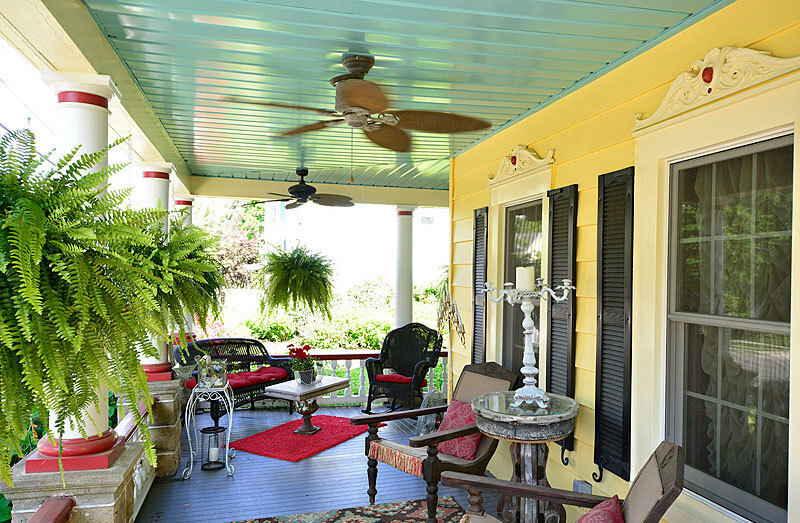 The perfect spot to watch the world go by is in a rocking chair on the porch of this beautifully shingled and painted home on Main Street. 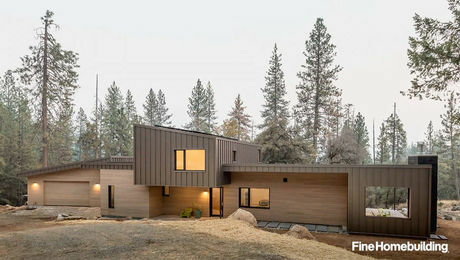 Light and bright. 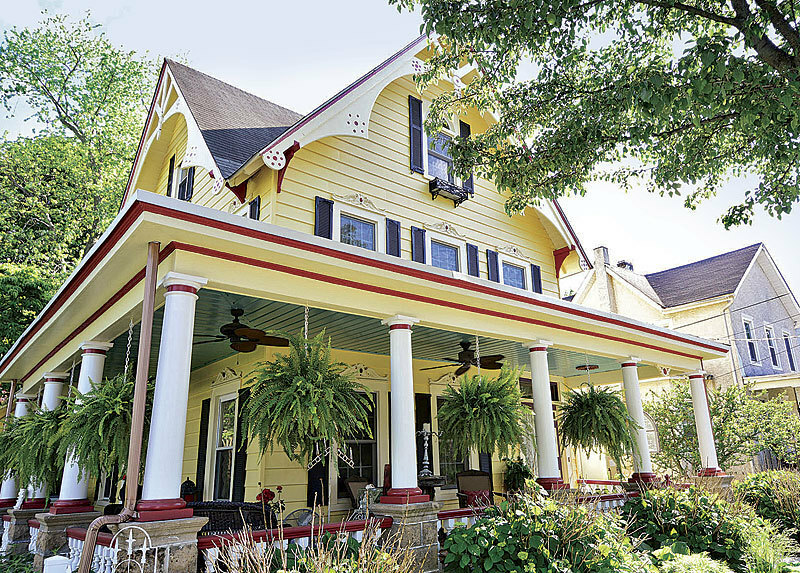 The wraparound porch on this sunny yellow home on Morrison Street practically begs passersby to stop and sit for a spell. 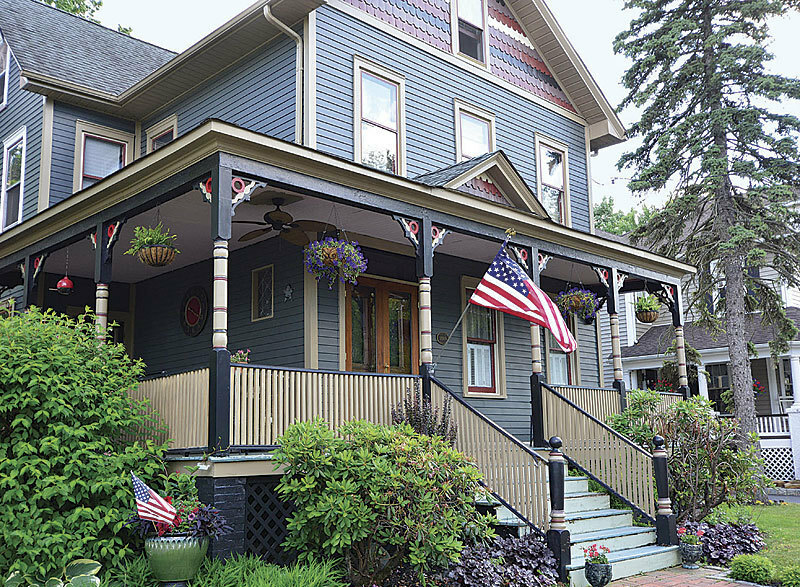 Patriotic porch. This Stockton Street porch wraps two sides of the house, which continues the porch’s red, white, and blue color scheme. 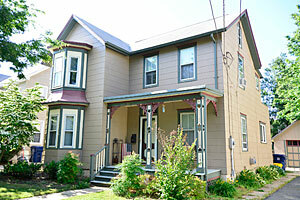 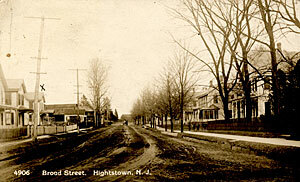 By the early 1900s, Hightstown’s Main Street had become a busy residential area. 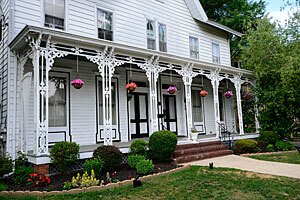 Beautiful homes with large porches lined both sides of the street. 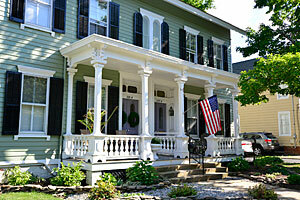 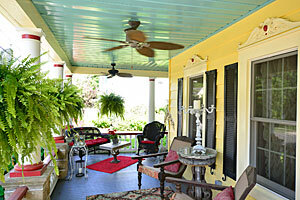 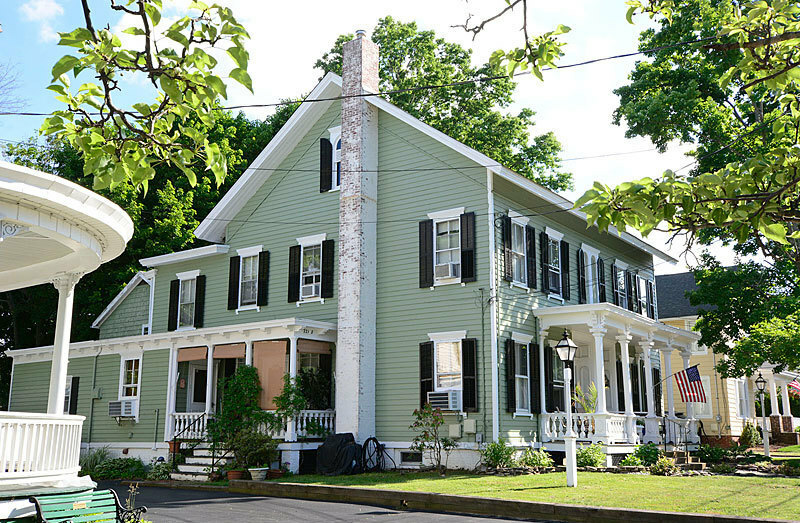 Many of these Main Street houses and porches have been meticulously restored. This is what Mercer Street in Hightstown looked like circa 1907. 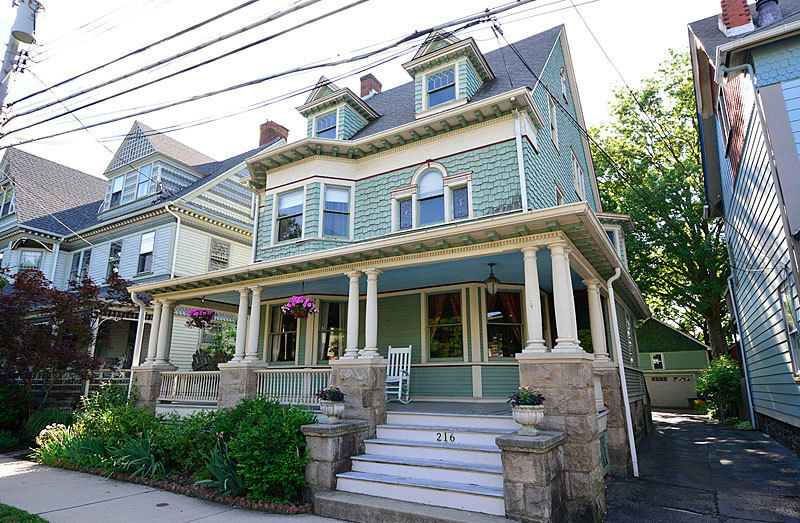 This two-family home is on Mercer Street. 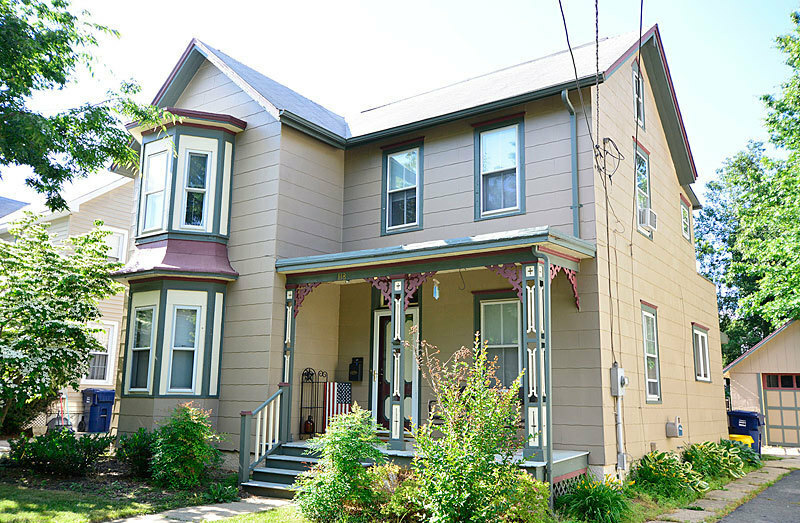 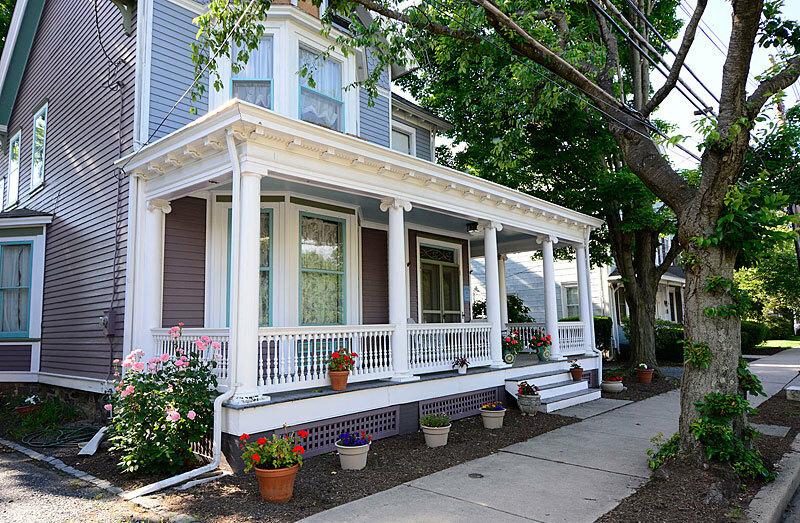 This two-family home on Mercer Street has both front and side porches. 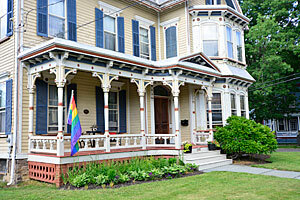 The porch on this two-family home on Stockton Street stretches across the entire front of the house. 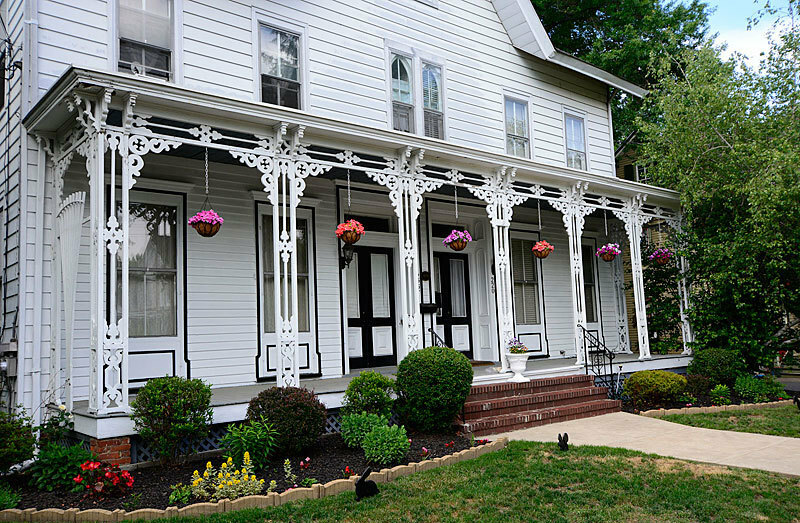 Along with great porches, generous bay windows and vibrant color combinations add to the beauty of Hightstown’s historic district. 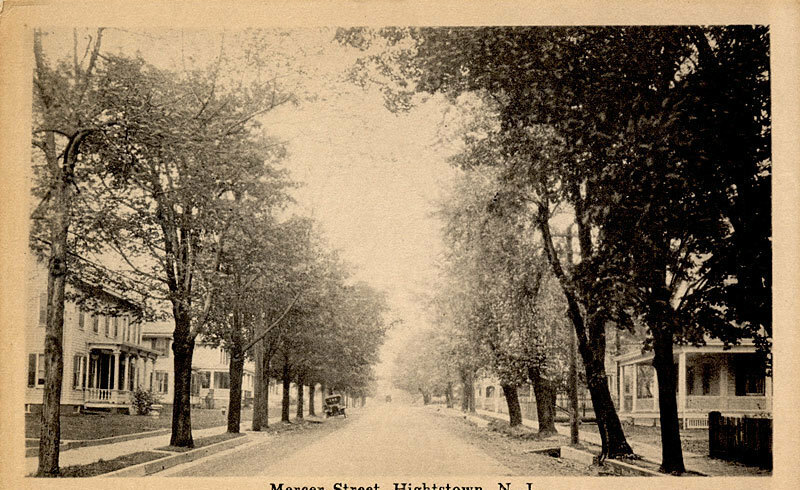 The Hightstown–East Windsor Historical Society’s collection of antique postcards is helpful to residents researching the history of their home. 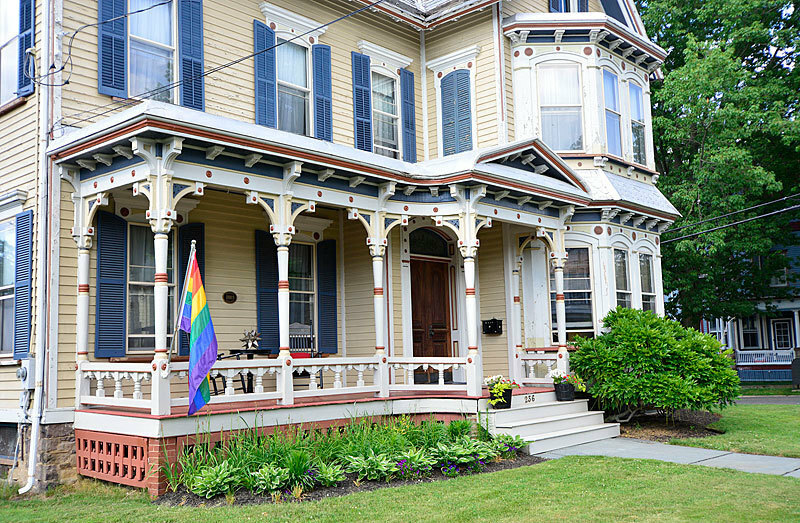 This sweet porch on Morrison Street features colorfully detailed columns. The wraparound porch on this South Street house provides plenty of room for outdoor entertaining. 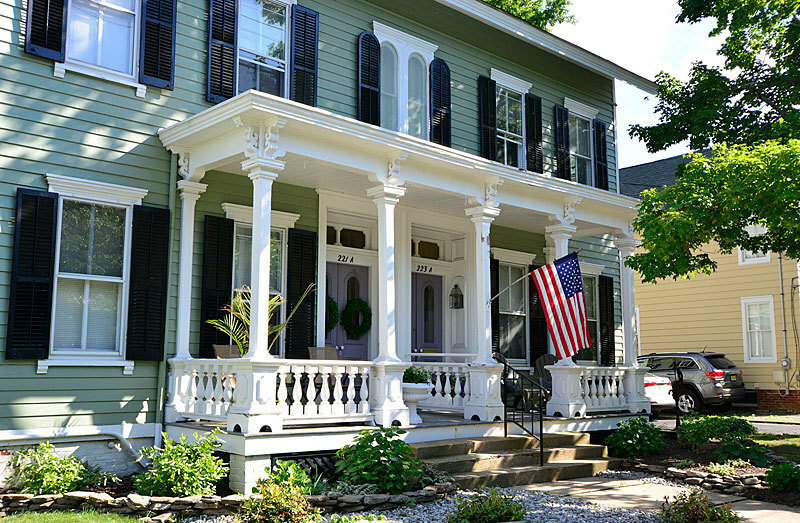 With the attention to detail given to the homes of Hightstown, it is obvious why the town has been designated a Preserve America Community.